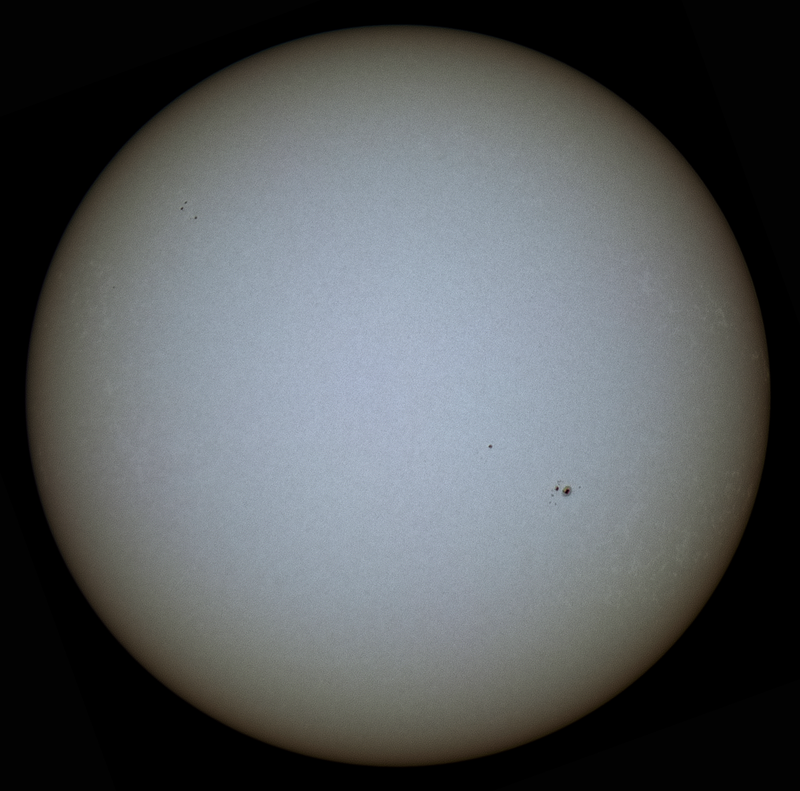 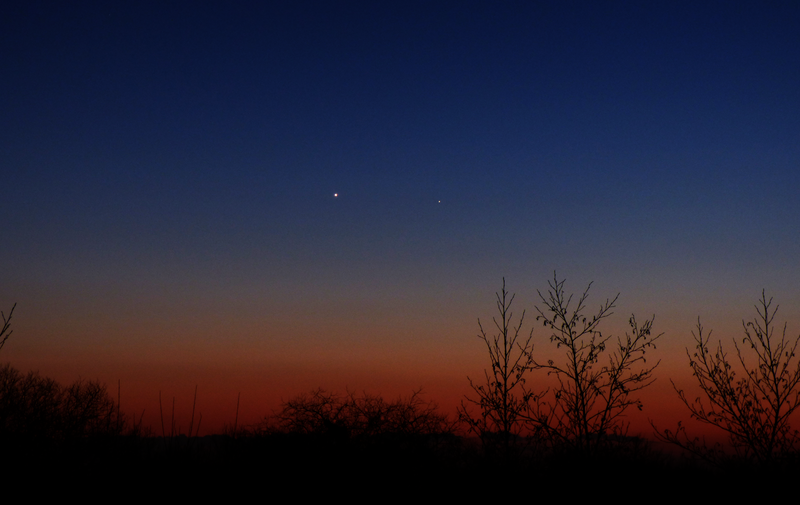 I used my 130m refractor and a 41m eyepiece this gives about 22 times magnification. 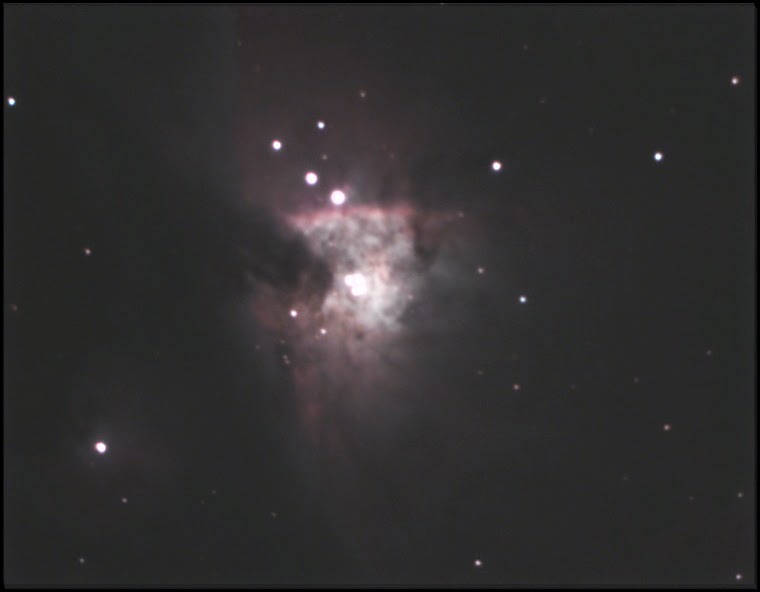 Orion Nebula - 10 five second exposures with the Orion Starshoot G3 Colour CCD using a Celestron 9.25 AVX SCT with a 6.3 focal reducer, processed and stacked in the Orion Studio software. 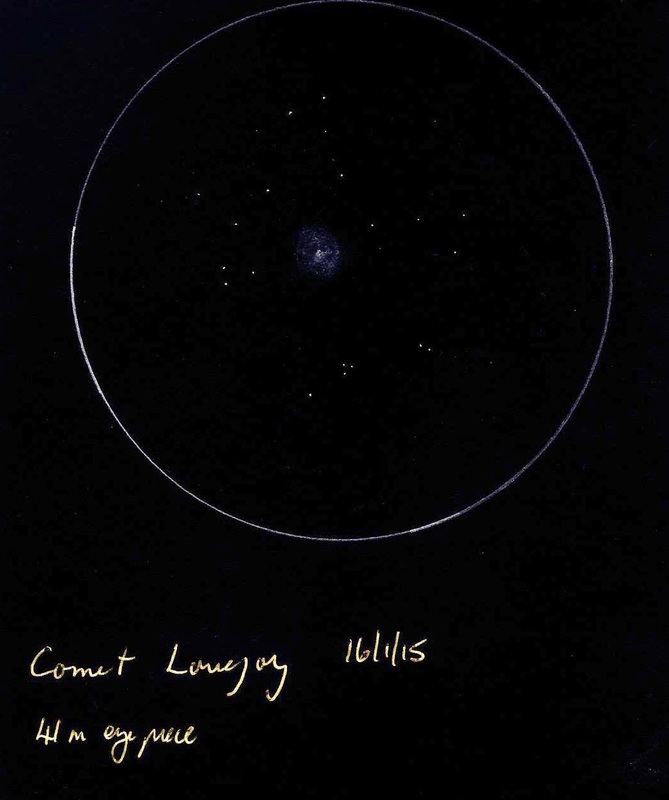 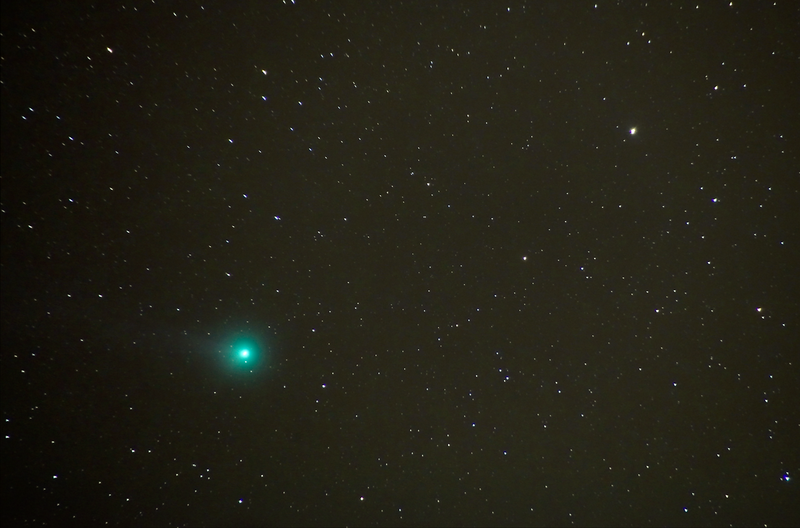 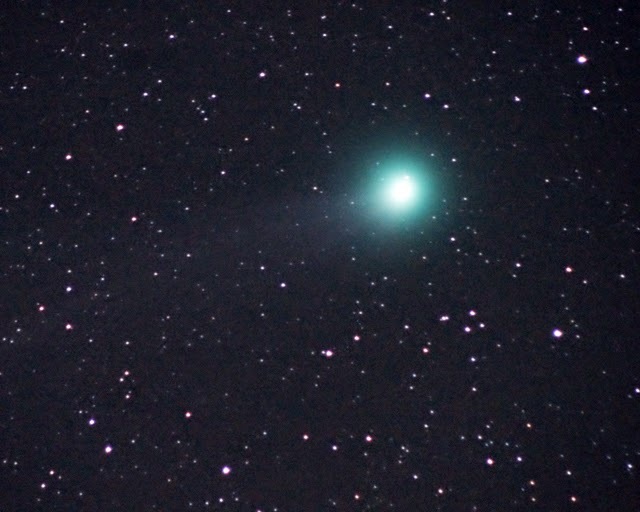 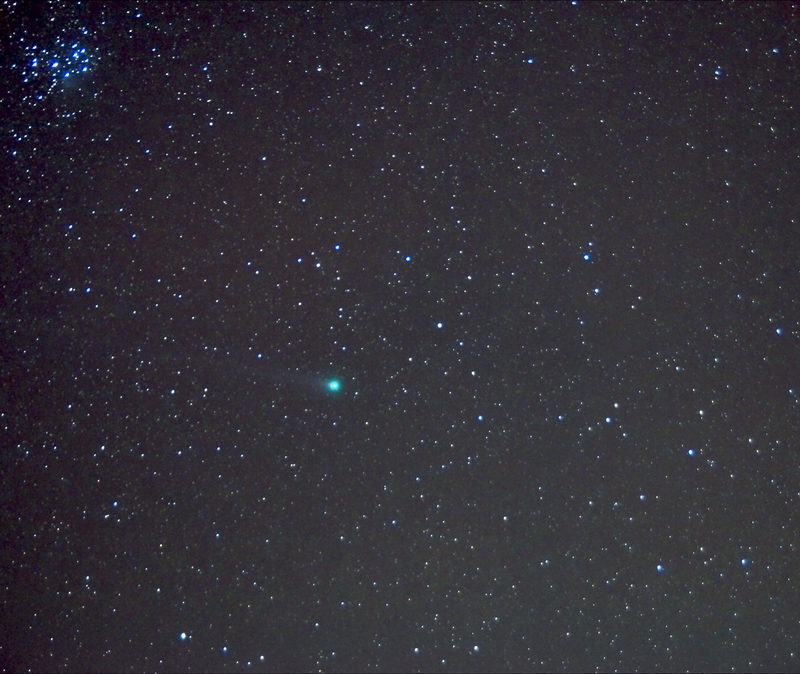 Colin Elphic reported observing Comet Lovejoy this evening in 15 x 70 binoculars and reported that it seemed bigger than in previous observations. 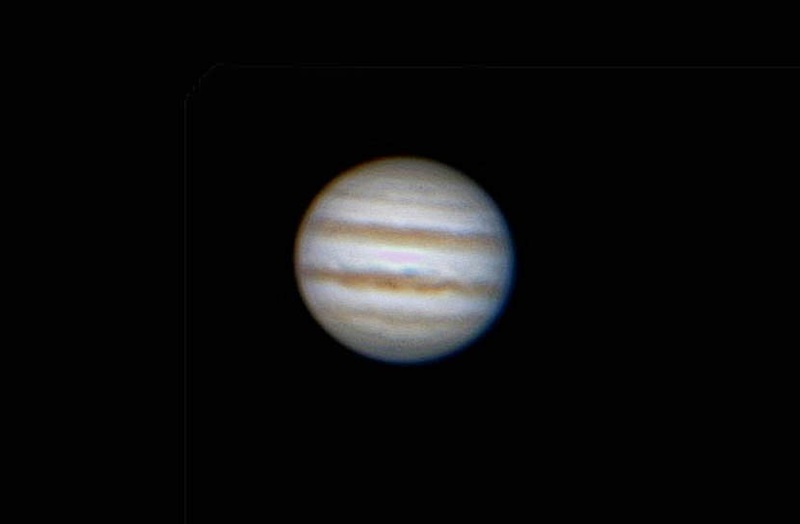 Celestron SCT 9.25 AVX, 2 x Televue Barlow, Phillips SPC900NC webcam were used to image Jupiter. 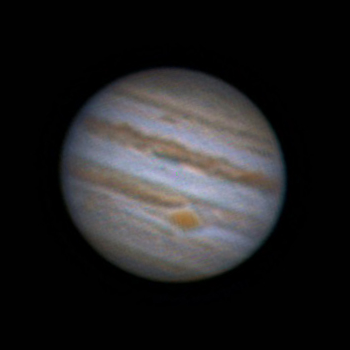 The images were first processed in AutoStakkert!2 then in Registax 6 and then cropped and slightly adjusted in Adobe Elements 11.